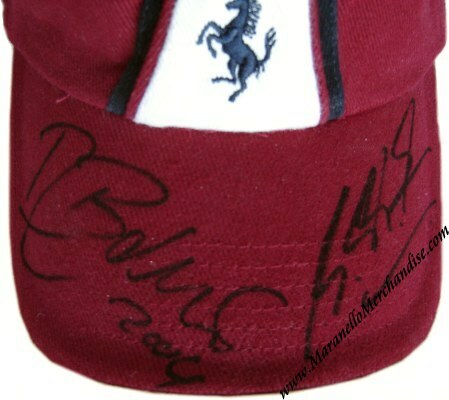 Michael Schumacher and Rubens Barrichello signed Fila Ferrari Cap. 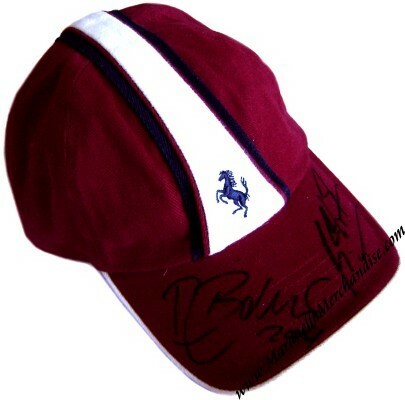 This is a great classic Ferrari Fila hat with the embroidered prancing horse logo on the front. Michael and Rubinho personally autographed this cap on the peak with a black marker and Rubens dated his with "2004". This is a very rare opportunity to own a great item signed by the worlds greatest racing drivers and items like this will surely appreciate in value. A Certificate of Authenticity will be provided with this item guarantees you that the signatures are genuine or we give you your money back.